Combined with Goldcoast Ballroom’s Regular Tuesday Evening Social Dance! Some of the Best Dancers Around! Everyone – All Levels – Welcome! *Includes admission to the Dance for the entire evening, the Complimentary dance class before the Dance (7:00 pm – 8:00 pm), pastry or dessert, coffee, and 6% FL Sales Tax. The COMPLIMENTARY Dance Lesson (7:00 PM – 8:00 PM) included with Admission, is taught by our World Class Pro and U.S. Professional Champion Liene Di Lorenzo!! Check our Calendar to see what dance is being taught on any particular Tuesday night. Music for the evening includes a well balanced combination of International Standard Ballroom and Latin as well as American Smooth and Rhythm styles of dancing, plus West Coast Swing, Hustle, Argentine Tango, Two Step, Merengue, and more, to round off your social dancing skills, as well as a Foxtrot and Waltz Mixer. 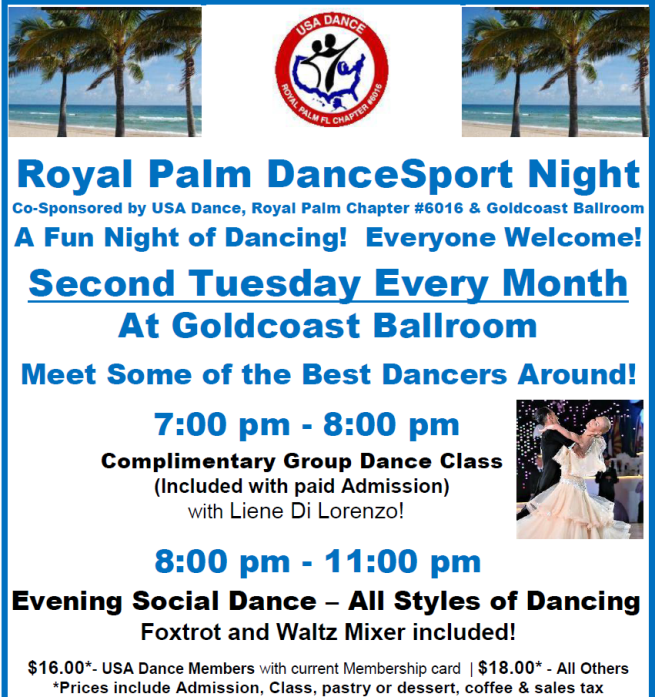 Both couples and singles attend these dances, and some of our best amateur dancers usually come on Royal Palm Dancesport Tuesday nights! Come sit at the Tables reserved for USA Dance! so that everyone at our Tables can DANCE AND HAVE FUN!! 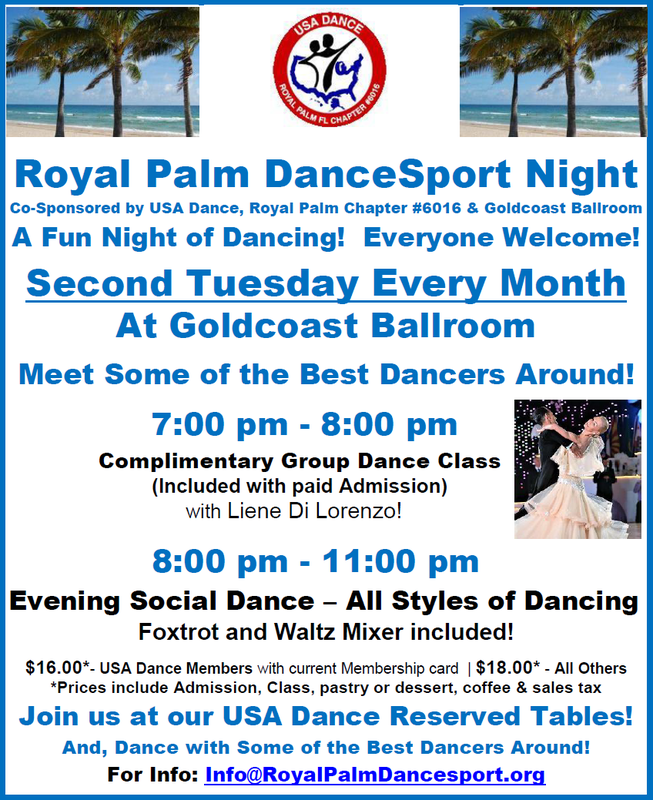 Join USA Dance, Royal Palm Chapter # 6016! Part of USA Dance, Inc., a National 501(c)(3) Non-Profit Organization! 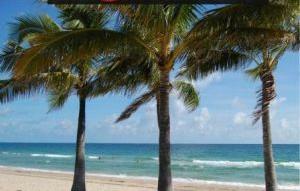 Ask us about Opportunities for Ballroom Dancing in Florida and Nationwide. Just $35 for an Annual Social Membership ($10 for Youth under age 19)! Exciting!! Our Chapter Just Keeps Growing!! as the Fastest Growing Chapter of USA Dance Nationwide!! Over the past 7 months, our Royal Palm Chapter has grown by 142%!! Join the Excitement and Become a Member of Your Local USA Dance, Royal Palm Chapter Dance Family! Meet & Dance With Some of the Best Dancers Around! Over 11,000 Amateur & Pro/Am Dancers Nationwide! Including our Royal Palm DanceSport Championships (NQE)! on February 9, 2019 at Goldcoast Ballroom!! (Watch and be inspired, or upgrade to Athlete Membership in USA Dance to participate)! Click Here to Join Our Chapter online Now! It is Easy and Quick!